The Jaguar F-TYPE is a stunning sports car that you will want to get to know! This gorgeous vehicle is available in coupe and convertible models. 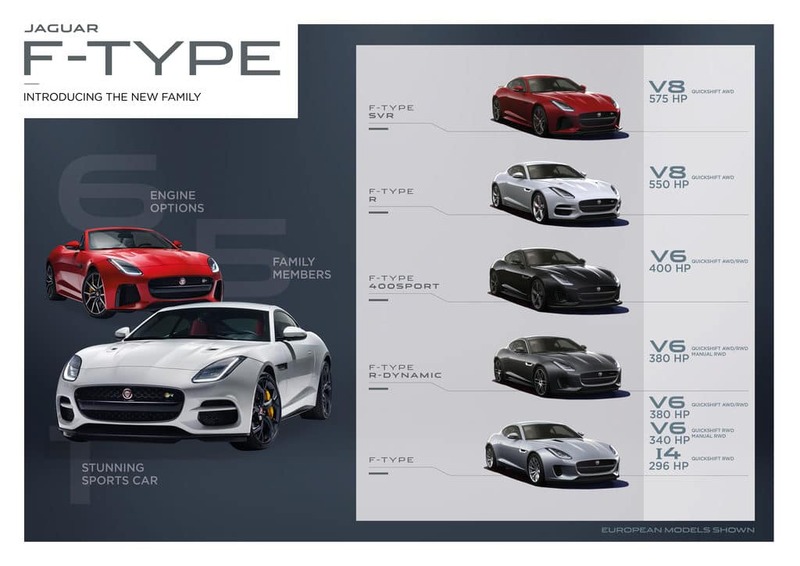 The chart above shows the variety of options for you to choose from so you can find the perfect F-TYPE for you! Contact Jaguar Colorado Springs for more information on the powerful and agile Jaguar F-TYPE.